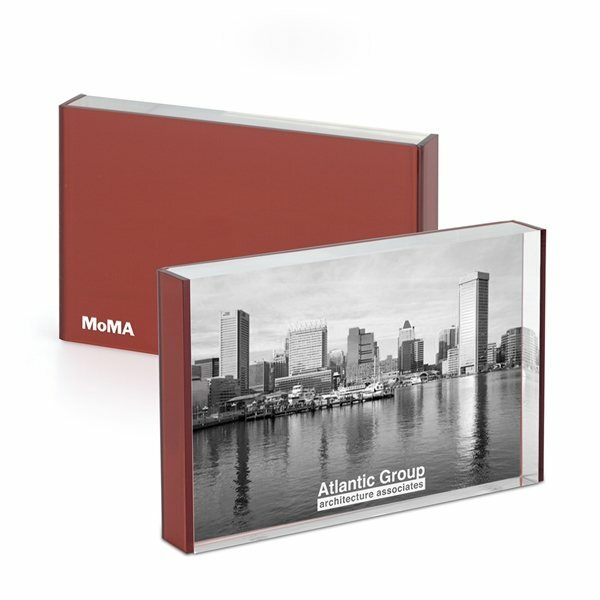 Optical quality acrylic with MoMA logo screened on backside. Our clients like it! A really nice method to thank our clients. Nice product for that cost. I believe the product is ideal for what we want it for.